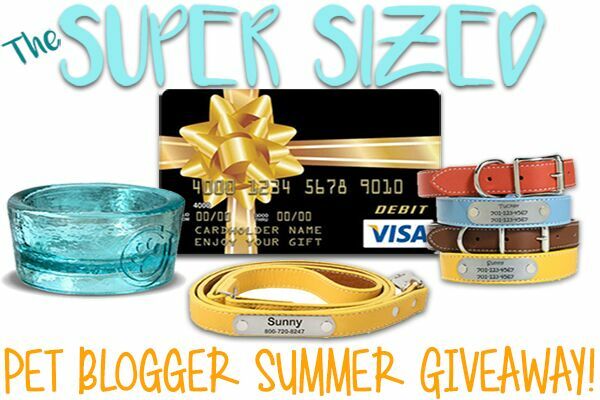 The Super Sized Pet Blogger Summer Giveaway - Win a $400 Visa Gift Card + more! It's heating up outside and that means it's Summer time! 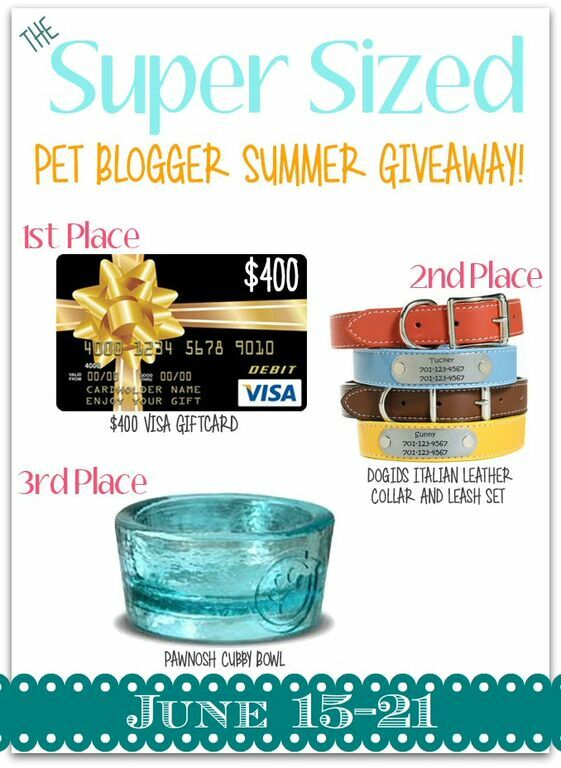 This week, I am partnering with 23 amazing Pet Bloggers to bring you a Super Sized Pet Blogger Summer Giveaway! There are some great prizes to be won that I know you can get some good use out of this Summer. Pretty awesome, am I right? To enter this giveaway, all you need to do is fill out the Rafflecopter form below with as many entry options as you like. The more options you enter with, the higher your chances of winning are. Easy! This giveaway ends on Sunday, June 21st, at 11:59 pm EST. Make sure you enter by then and don't miss out! Also, this giveaway is open to both US and Canadian residents (except where prohibited by law). Good luck to everyone! Basics, we're in dire straights, food, water - believe it or not I have to buy - they didn't even make phone calls when they posted a boil water notice. thank goodness my cats drink bottled distilled only. Oh no! How scary. Good luck to you on this one. Take Schooner and Skipper on a trip to a dog friendly state where we could eat together and have ice cream. Walk the beach on a dog friendly beach. We would take our boy Beauregard someplace special for a couple of days. We would buy lots of fun things for us. Oh, and maybe let the mom have one or two things too. Mol - well I think the Mom probably deserves something nice too! The Visa GC would buy lots of food for the animals. I would spend it on books and supplies for my classroom! That is some cool giveaway gang! I would buy dog and cat kibble and a new cat tree. I would buy a lot of cat food! Oh....my.....dog! What an amazing event!!!!!! And open in Canada too?? That is rare! LOL!!! I would spend it on......my huskies! All of it! Noms and toys. Of course I would let the peeps buy one thing each. If I just gave it to TW I’m sure she’d use it to tank up her Dunkin Donuts card. All of it. Heh. 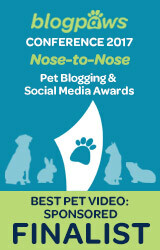 If I won, I would buy my ticket to BlogPaws! How do you sign up? I don't know what a rafflecopter is? Hey - there is a widget on this page which states all the prizes and includes some things like "Visit us on Facebook" or "Follow us on Twitter". You can log in using your Facebook account or with your email. (It's safe and your email won't be used for anything weird, it's just giving me a way to contact you in case you win.) After you log in to the Rafflecopter widget, just go through the entry options on the widget, click as many as you feel comfortable doing, and you are entered! Feel free to email me if you still have questions. Well since I have 7 (seven) Teacup Chihuahuas this would come in soooooo handy I could keep up with their food bill and buy them some new toys and beds! They would be some happy itty bitty fur babies! I would love to buy my dog some new toys and food and I would do a bit of weekend fun things with my dog Zola. If I were chosen as the winner, I would use it to buy some more agility equipment for my dog! I would probably spend it on a new travel crate and pad for my dog! If we win, we would donate the money to our local animal shelter! I would spend it on groceries/essentials for the family including pet food and other necessities like cat litter. I would buy patio furniture. Whoa! 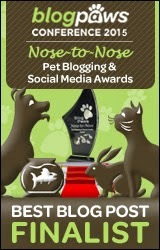 This is a fabulous giveaway and many fabulous pet bloggers hosting! Good luck to all who enter! Vet bills and a trip to the beach. If I won, I would probably use the Visa gift card for some new clothes. Thanks for the chance to win! 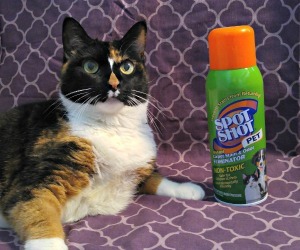 I would buy pet supplies if I won this one. A weekend trip with my boys!!!! Mes here from Christie Paws! Mes would LOVES to win anything and BTW wes looked around and loves your blog. Mes wonders how wes missed it before. PS Don't forget to enter the finish the sentence game!!! Oh Yes,if mes winned, mes would send the Cartoon Monkey for drawing lessons!!! You've been here before Nellie, but it has been a while. I knows who you are! ;) No worries though, I am glad you found your way back and that you liked what you saw! Thumper is on a new diet and needs some new toys - part of the card would go directly to him! Our Meowmy/growlmy would save the $$ for vet bills and noms, since we are 'seniors' wnd Minko is having a lot of issues lately. It would help a lot! Honestly I'd use it to help pay off some outstanding bills. I would buy more interactive toys for my furchildren. I am sure they are getting bored with the classic balls and toy mice. Holy cow what a great giveaway. I would put it towards collecting Gamblers swimmers to store for future use. A camping trip to Maine for me & jenks! I will put it towards a new washer. I would stock up on pet food and treats as well as a new pet bed. I'd use it for doggy day care, dog food and treats, and to fund a camping trip so Toby can go hiking (his favorite thing). My furbabies are ready for their yearly shots so that would be what I would use it on. I think Mom would buy some new clothes. Coco and I would use the $400 gift card to put towards her 10th birthday vacation that I am planning for her in September! I'd save it. I may spend a bit to help my brother take care of his dog, but I would save it until I have my own puppy. I have two big white puppies that could use some new gear! Lots of treats, new matching collars and leashes for everyone and update Mom's wardrobe. I would use the gift card to get my doggie groomed and to have some training for my pooch. I'd use it to take Betty up north to escape the 115 degree heat here in Phoenix! This is such an awesome giveaway! If I win the $400 card, I'll be buying a window air conditioner to help keep me and the kitties cool this summer. I would do whatever was most pressing at the moment. It seems rather endless but if I had extra I'd love to get my vehicle going again. I would buy food and littler for my rescues and also food for my local shelter who is in dire need. I would buy my senior dog, Mike a new bed, some Dr. Buzby’s ToeGrips (http://www.toegrips.com/senior-dogs/ - to help him with his navigation), some Rejenease (http://rejenease.com/ - for his legs), his special prescription food and his medicine. I also have a huge rescue tuxedo cat (Leonardo) who likes toys and likes to take-over the dog bed. I would buy him a new scratcher and some more of his Science Diet food. I would buy my dog a large, new dog house and lots of treats and toys. I would get my 2 doxies new harnesses and get my cocker spaniel a dental cleaning. Then I would buy supplies for our local animal shelter. I would spend this on household items, a birthday gift for my mom, and anything else I can stretch it for. LOL! We would spend it on a new cat tree for Jasper, pet food, treats, new beds. We also need 2 new twin sized mattresses and bedding so it would help with that expense as well. I would buy something nice for my dog and I.
I would take my kids to the great escape fun park for the weekend. It would make there whole summer. I would spend it on toys and treats for my dogs. I would use the amaazon card for cat food and dog food. I feed the ferals and strays. I would use the money to buy my mom a camera lens. If I won, I would use the gift card to buy supplies to build a catio. I would also buy some toys & treats for my critters and donate some to my local shelter. If I won I would use it to buy my dog and cat new beds and food and treats for both. I would use the money for the next time that we use a dog friendly hotel. Not sure what I would use if for. Pehaps a dog friendly hotel so I could take them to see my Mom while she is in an assisted living place (had her lower right leg amputated). Puurrlease pick us we need a new cat tree! Purrs! Definitely invest in dog/cat food, doggie door & a cat feeder that goes off the microchip because our recently reached puppy has been eating all the cat food! I would buy my baby girl, JoJo, a plush new dog bed, pretty new collar and some fun new toys. Sherlock would be one spoiled pooch! I would spend it on groceries and treat my furbaby to some of her favourite treats! I'd spend the gift card mostly on my 3 dogs' Merrick dry and wet dog food and treats. Probably buy a few more Planet Dog brain games too! I would love to buy my pooch some dental products and treats. I would buy a new bed for my cat and dog. It would go towards our trip to California! Quality dog food, toys, and cute doggie clothing. I have 2 dogs and 2 cats that are getting up there in age. I would like to get them thngs that make their last few years comfortable and fun for them. If we won the big prize we would spend it on toys and treats of course! Would be wonderful to buy the dogs a new dog bed and the cats a new cat tree! If there's any left, treats and toys for all. I would definitley share my treat with a friend who is a pet transport driver....she loves her job! I would buy my doggy food, treats, and toys. A cat tree for kitty, a new harness for doggie, lunch out with my daughter and summer sandals for me! i would spend the $400 on a new window unit ac for my home because my ac both are not working properly and its over 90 degrees inside my home its miserable we are saving for a new one but it takes time so that is what i would use it for! I'd invest in safety netting for the lifelines of our future boat. I would buy groceries, and a lot of dog food. I would buy pet supplies and groceries, and treat myself to some books and apps for my tablets! Thanks for the chance to win this amazing prize! I'd spend it on cat food and cat litter...thanks for the chance! I would buy my dog a new bed and some toys.